Below you will find the user manual for the Profitec Pro 500 espresso machine. In this manual, you should find everything you need to operate and maintain your machine. Please read carefully before using your Pro 500. And if we've missed anything, you always know how to contact us. Let's get started! 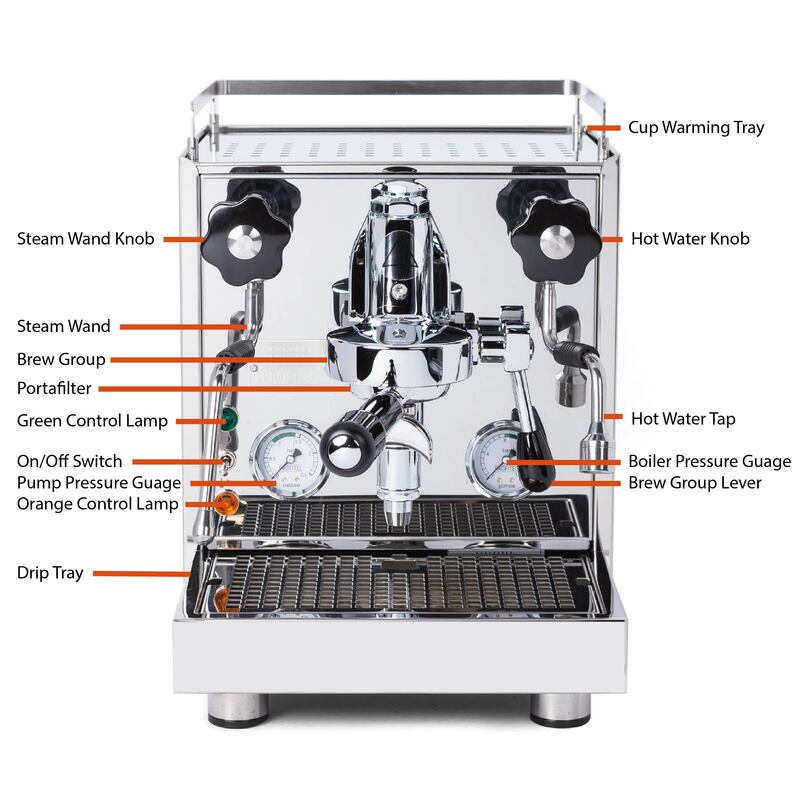 The Pro 500 operates on a 3-liter water reservoir located under the cup warming tray. Use soft potable water only and do not operate the machine without water. Your 3 Liter reservoir will make approximately 25-30 drinks before needing to be refilled. Reseat tank in the same orientation that it was removed (see photo). 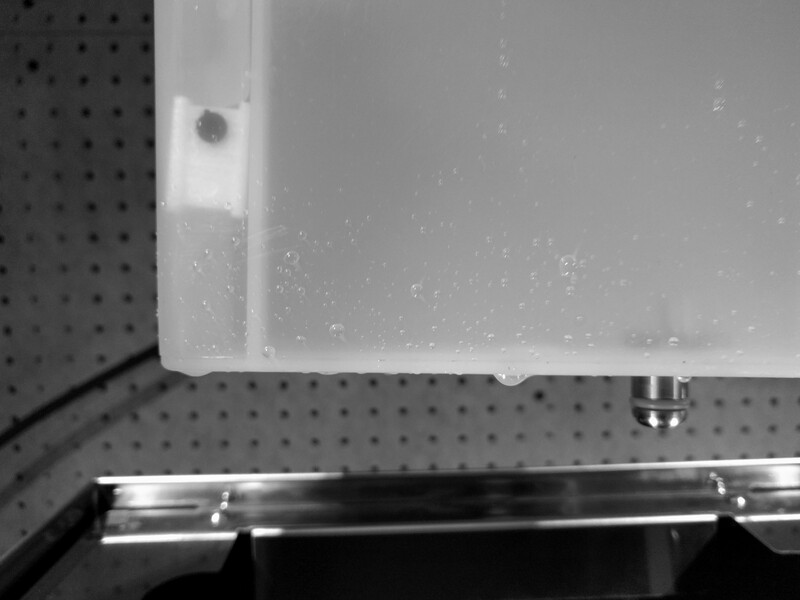 The magnet float engages a sensor inside the machine. The float must be seated as shown for the machine to function properly. The Pro 500 is a reservoir only model. Prior to starting the machine, check if the steam and hot water valves are closed. 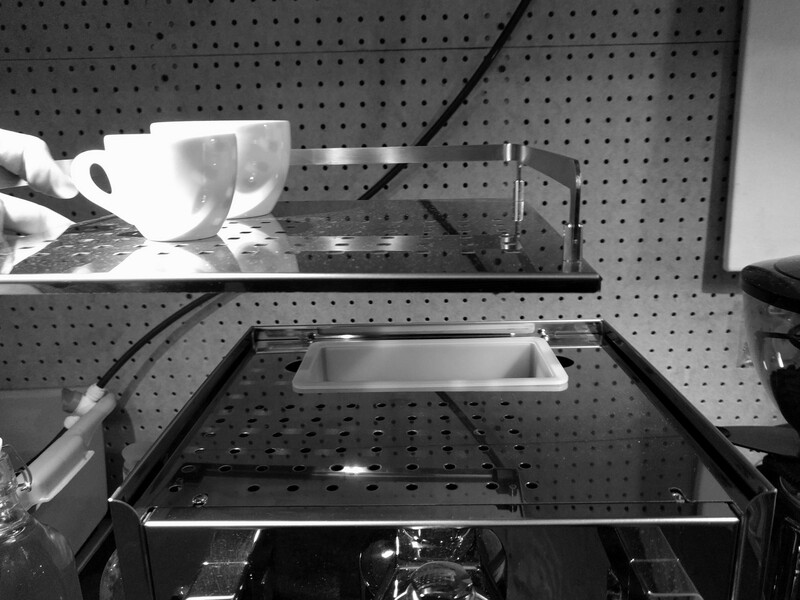 Check to ensure the machine is switched off (Power switch in lower position), and the drip tray is inserted accurately. The On/Off Switch is located just below the green power lamp. Up position is on and you will see the green led illuminate; down position is off, you will see the green led light and machine power off. Place the machine on an even and stable surface. You can regulate the height by adjusting the feet of the machine. Never place the machine on hot surfaces. Following the steps above, fill your water reservoir, plug in the machine, and turn it on. The pump will begin filling the boiler of the machine with fresh water. As soon as the boiler is filled, there will be no more pump noise; the orange control lamp is now on, this indicates that your reservoir has enough water. As soon as the fresh water sinks down to a certain level in the water tank, the machine will stop heating and the light of the orange control lamp will switch off. Refill with fresh water at this point. If the pump is running while the tank empties it will continue to function and you may hear the pump run dry. Cycling the brew lever off and on again, the pump will not re-engage until the reservoir is refilled. A large amount of water is required for the first filling of the boiler, you can expect to refresh the water tank with water during this startup process. Wait until the boiler pressure gauge indicates approx. 1.0-1.25 bar. A manual “boiler ventilation” is not necessary because the PROFITEC PRO 500 is equipped with a professional depression valve that ventilates the boiler during the heat-phase. Dispense approximately 8oz of water from the grouphead. This way, the heat exchanger will be filled with water and the circulation of the water in the thermosyphon system begins. Now you're ready to start pulling shots! Check out our Espresso 101 section to learn about steaming milk, latte art, our suggested starter espresso recipe, grinder dial-in tips and much more!